Cars and other forms of transportation are pretty fascinating, aren’t they? Moving in general, but moving fast too. The horns and other various noises. 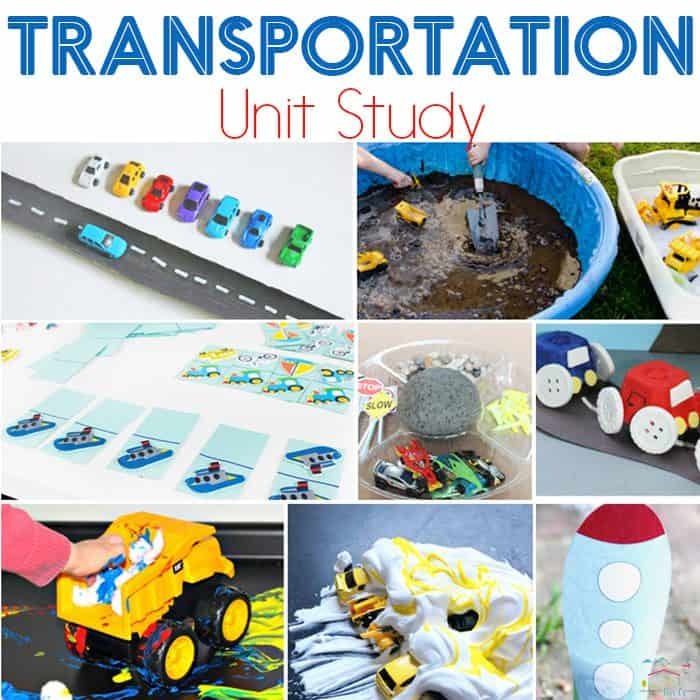 Learning about cars, boats, and buses can be interesting in itself, but doing a transportation unit study is bound to help your car lovers learn. 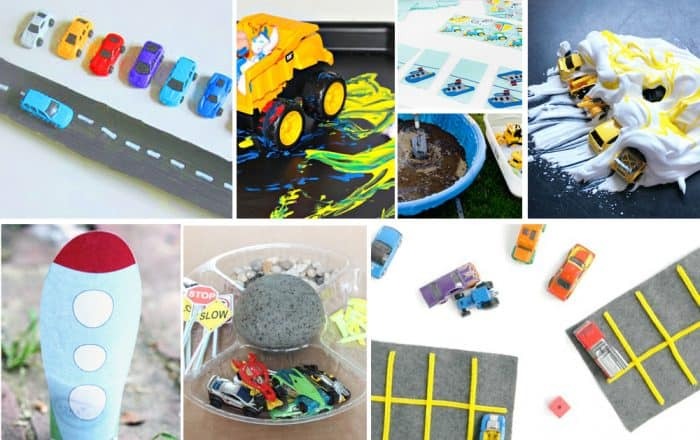 Perfect for a transportation theme in preschool, kindergarten or elementary! 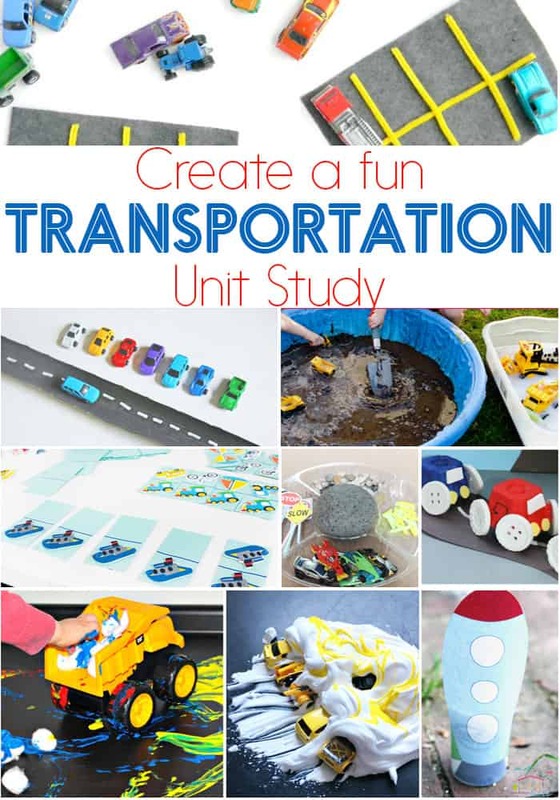 You can incorporate various areas of learning and development into your unit study with a transportation theme. Here are our favorites including math, literacy, sensory, science and arts & crafts. Enjoy!